Besides the 40 most popular dance in the West, there are many others. Like music genres they are often difficult to distinguish from related species. Some remain local folklore, others trip to the West and are occasionally sometimes a (temporary) craze. About 50 more common forms get a separate article in this section. Another + 111 dances get a brief description or explanation in a joint list. 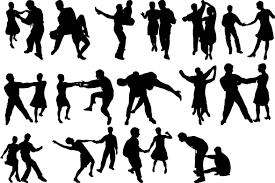 Some 20 more are discussed in History of dance.